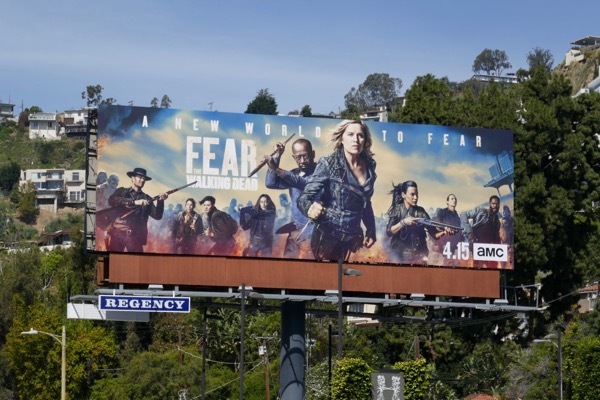 There may be some new and familiar faces on this season four key art for Fear the Walking Dead, but it's still great to see Kim Dickens 'Madison Clark' front and centre, leading the charge against the zombie apocalypse. This mother, protector, fighter and survivor has come a long way from being a high school counselor and part of a blended family. For the flagship spin-off's fourth season after surviving the dam-busting experience of the third season finale, the extended Clark family (including Alycia Debnam-Carey's 'Alicia', Frank Dillane's Nick', Danay García's 'Luciana' and Colman Domingo's grifter 'Victor Strand') are joined by The Walking Dead's Lennie James character, 'Morgan Jones', and his deadly wooden staff, who's not always the sanest person in the room. 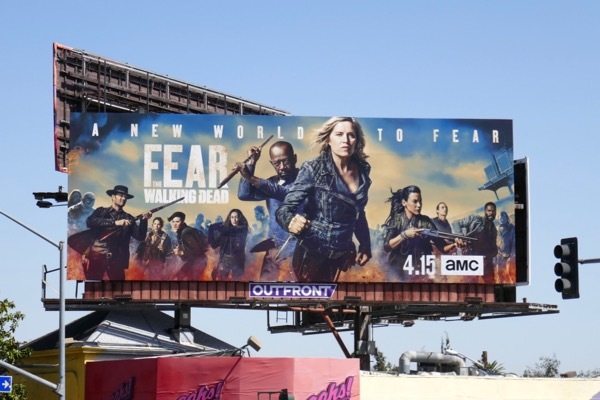 Other new characters making their debut this season and potential zombie fodder include Garret Dillahunt's sharpshooter 'John', Maggie's Grace's armoured vehicle-driving 'Althea' and Jenna Elfman's survivor 'Naomi'. 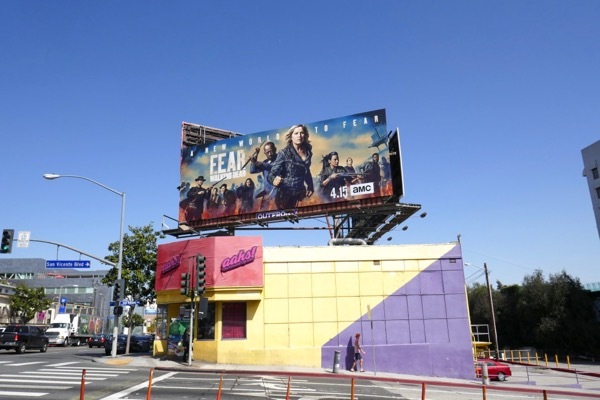 These season four billboards looking much more action-packed than previous season key art and were snapped along the Sunset Strip from April 4 to April 6, 2018. 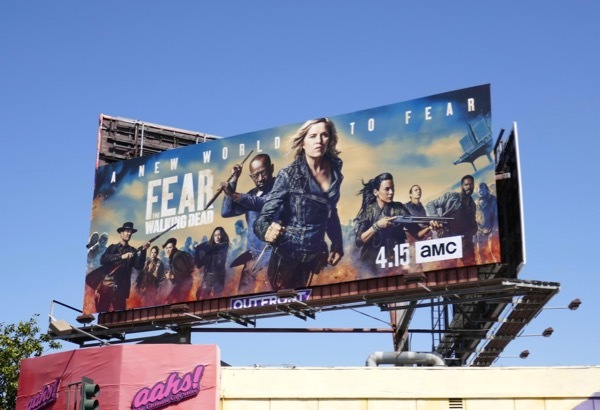 Fans of the post-apocalyptic zombie drama can also enjoy all these previous season promo billboards for Fear the Walking Dead. 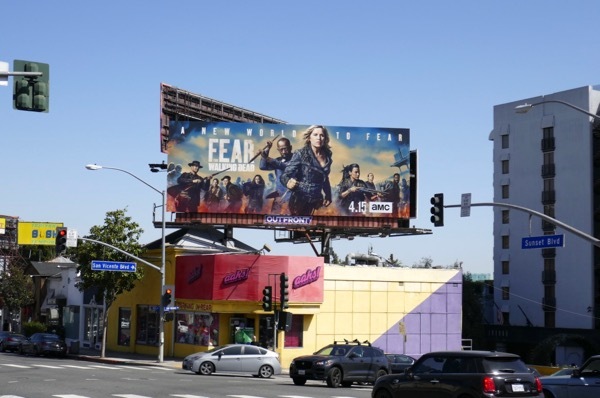 With new showrunners, the chance to see the show from a new perspective, new communities, new characters and multiple timelines, this rebooted fourth season sounds like it's getting a new lease of life, that is, before everyone gets killed off. 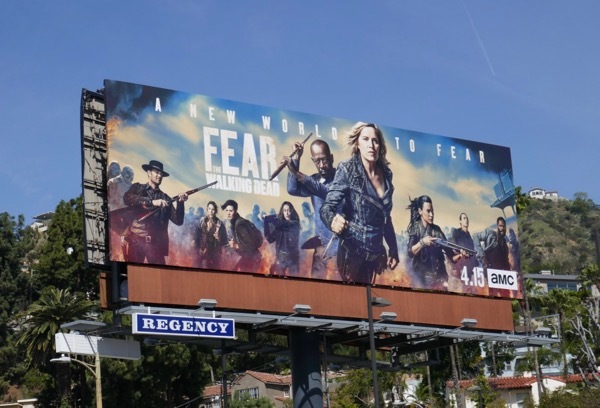 Has this spin-off prequel lost its identity, will Morgan crossing over from the flagship show bring in new viewers and can this massive cast survive sixteen all-new episodes in one piece? There's only one way to find out, tune in and be afraid on a weekly basis.